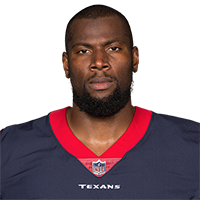 Fells is signing a one-year contract with the Texans, Aaron Wilson of the Houston Chronicle reports. The Browns released Fells on Sunday, Mike Garafolo of NFL Network reports. Fells ended his 2018 campaign with 11 catches (12 targets) for 117 yards and three touchdowns. 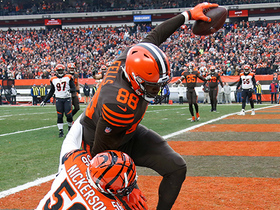 Analysis: Used as mainly a blocking tight end, Fells wasn't utilized much on offense during his first year in Cleveland, as he spent the bulk of his time backing up starter David Njoku. Fells signed a three-year, $12 million deal with the Browns last offseason, which will become fully guaranteed if he's on the roster on the third day of the 2019 league year. Fells caught all three of his targets for 18 yards and a touchdown during Sunday's 26-18 win over Cincinnati. 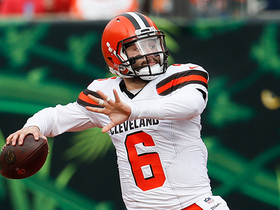 Cleveland Browns quarterback Baker Mayfield escapes pressure and finds tight end Darren Fells for a 1-yard touchdown. 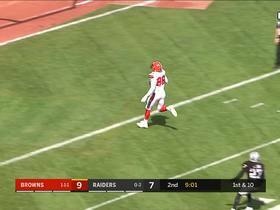 Cleveland Browns quarterback Baker Mayfield finds tight end Darren Fells for a 6-yard touchdown. 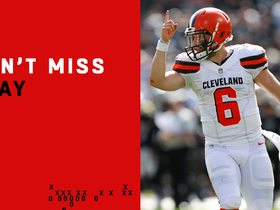 Cleveland Browns quarterback Baker Mayfield throws his first touchdown pass of his career with pinpoint accuracy on a 49-yard connection with tight end Darren Fells. 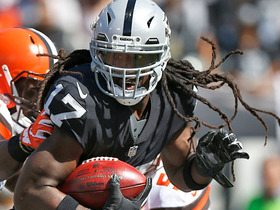 Oakland Raiders wide receiver Dwayne Harris has a huge 49-yard punt return. 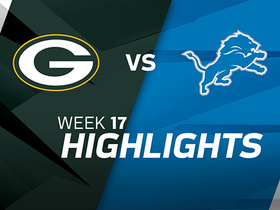 Watch the best plays from the week 17 matchup between the Green Bay Packers and Detroit Lions. 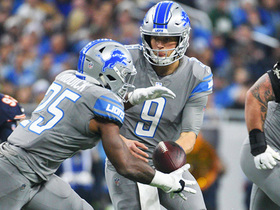 Matthew Stafford calls 'Kardashian' audible. Detriot Lions QB Matthew Stafford calls 'Kardashian' audible. 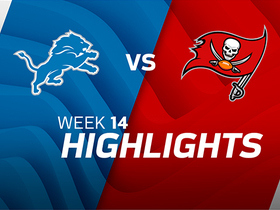 Watch the highlights from the Detroit Lions 24-21 victory over the Tampa Bay Buccaneers in Week 14 of the 2017 NFL season. 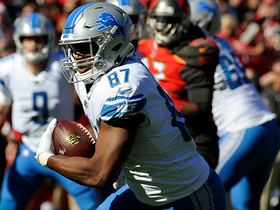 Detroit Lions quarterback Matthew Stafford finds tight end Darren Fells for 23 yards.